Thats right! I’m giving away the following from this website. From today’s most popular instructor and author of the bestselling Yoga: The Poetry of the Body comes an all new training tool -Yoga: The Poetry of the Body 50-Card Practice Deck. Yoga is one of the hottest fitness trends today, and millions of people are looking to renowned yogi Rodney Yee for instruction. Fresh from a guest spot on Oprah where he taught yoga to the masses, Rodney Yee is well-known around the world and travels extensively both nationally and worldwide to teach weekend workshops, week-long teacher training workshops, and yoga retreats. These beautiful cards feature portable, informative, and stunning yoga instructions. Each of the 50 cards features photographs and instructions with tips on alignment and breathing, as well as poetic insights into the subtle energies of the pose. Cards are sequenced to create a real yoga class, if users follow from beginning to end they will have completed a class, as Rodney would teach in his yoga studio. Rodney Yee’s yoga cards offer a complete Yoga workout without books or videos, and are perfect for yoga students at any skill level. The SinuCleanse® Neti Pot is the #1 selling neti pot worldwide. Designed from the ground up by Dr. Diane Heatley, the SinuCleanse® Neti Pot is based upon a unique, time-tested delivery system. Developed centuries ago in ancient India, the neti pot uses the gentle flow of gravity to deliver the 100% all-natural, SinuCleanse® saline solution. Because there are no preservatives, no chemicals and no medications, the SinuCleanse® Neti Pot can be used in conjunction with current medication to increase the effectiveness of those drugs. It is completely free from side-effects and has no drug interactions. The SinuCleanse® Neti Pot is made of unbreakable plastic and is dishwasher safe to prevent contamination. Be from the United States. Write a comment in this blog. If you are a student of my yoga classes and write a testimony of the class, then you’ll get two entries to the drawing. If you’ve been in a yoga training with me, write up the training class and you’ll get an extra entry. If you create and post a link back to your web page or blog of this giveaway, then you’ll get an extra entry, send in an extra blog entry with your link website/blog entry. Be sure to type out your email contact information in the blog post. Deadline for entries are: 9 a.m. Central Time November 1st, 2008 (Saturday). Posted on October 27, 2008 by yogawithgaileee. This entry was posted in Yoga Deck Cards Rodney Yee, yoga giveaway. Bookmark the permalink. Fun post! Thanks for the facebook note! I’d love to win this, since I really need to get back into doing yoga after having my son 7 months ago. This would help start a home practice again. Thanks for contacting me via my blog! I love yoga! I think the instructor makes a big difference in whether you will enjoy your yoga experience or not… so IF you have tried and not liked, do not give up until you have experienced Gaileee’s class!Class begins with a relaxation meditation as she reads from inspirational Christian literature, then goes into poses that she shows you how to keep “between easy and ouch!” Gail interjects her wisdom, wit, and humor as she guides you into new yoga positions designed to stretch you, relax you, and relieve stress. 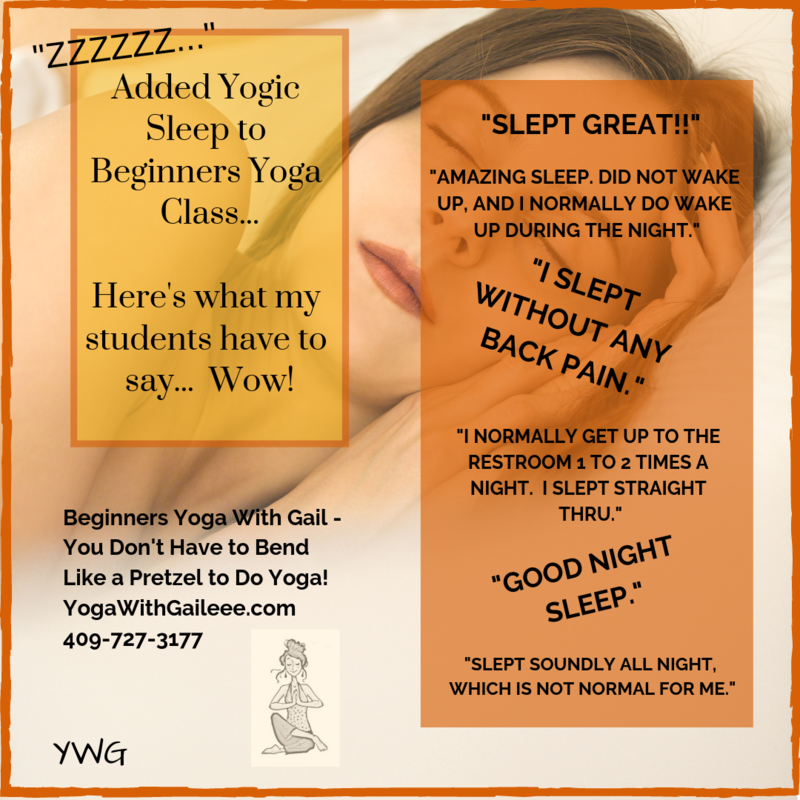 Every class ends with Gail giving a gift of herself: whether a foot rub, aromatherapy, or leg extension- it’s always a treat to look forward to! I think the Neti pot would be great to have for this upcoming winter! Well – I’m from Canada – but I’ll leave a comment just to show my support. I use yoga cards in kids yoga oftne. Although I don’t have this deck, the visuals are always attractive to kids.I’d love to read a post about the sinus pot and if it’s good. Love yoga and the Neti pot is supposed to be great!Your site is super. Gailee, how fun! If I do win, I’ll spread the karma as well. I’m debating doing this as well. You are awesome! I’d love to try a neti pot. I’ve heard a lot of great things about them. I have sinus problems and allergies. I would love to try the The SinuCleanse® Neti Pot. I really want to try the Neti pot- thanks for the chance to win! Ooh, I’d love the neti pot for my allergies and any colds this winter! Hmmm, yoga or a neti pot. Actually, they are both great items IMO. I’ve heard good things about Neti pots, thanks!!! I’ve been wanting to try the Neti pot for my allergies! The yoga cards are very cool as well, I’ve done some but want to get into it more. These both look great. I have heard about the neti pot and would like to check it out. Thanks for the giveaway!